Our experts at ProSource® of Reno help trade professionals find their homeowner clients the perfect wholesale flooring for their home flooring projects. Our large selection of wholesale flooring includes many types, styles and color finishes for the following: carpet, hardwood, laminate, tile and vinyl. Our goal is to turn your clients’ ideas into reality with our top-notch brands and products. 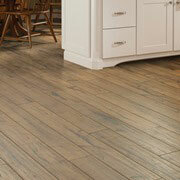 At ProSource of Reno, we know flooring is both functional and decorative. That’s why it’s important to find durable, long-lasting flooring your client will love. Our carpet flooring selection includes carpet styles such as loop, berber, plush, frieze (shag) and more! 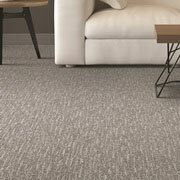 ProSource of Reno also provides many choices for carpet fabrics and colors. We offer high-quality brands that we trust to provide carpet flooring that is comfortable, durable and stylish — all at competitive wholesale prices. Hardwood flooring is a popular choice among homeowners because of its versatility, beauty and durability. This type of flooring can take on different appearances and styles, from a glossy luxurious finish to a natural and simple one. ProSource of Reno offers many different wood species, color finishes and gloss levels of hardwood, so our team can help you find something that fits your client’s endgame vision! 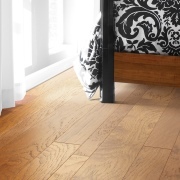 Laminate flooring is an economical flooring option that usually replicates the style of hardwood. Without breaking the bank, your client can recreate the look of maple, cherry or hickory wood types with our laminate flooring options. Tile flooring has many uses, and it’s a popular choice for kitchens, bathrooms, laundry rooms, and other spill-prone rooms in the home. Our ceramic, porcelain and stone tile can add a sense of elegance to any ordinary room. 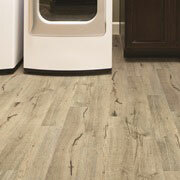 Another economical option, vinyl flooring commonly takes on the appearance of wood, stone or tile. 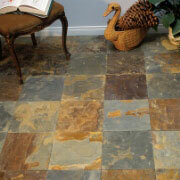 We offer our vinyl in a variety of colors and types, such as engineered stone or sheet vinyl.